A Dog’s loving nature and loyalty can inspire acts of bravery. This has made them a fixture on the battlefield since the days of the Ancient Egyptians. As such, during both World Wars dogs fought along soldiers and a memorable example of this comes from a Canadian dog during World War II. 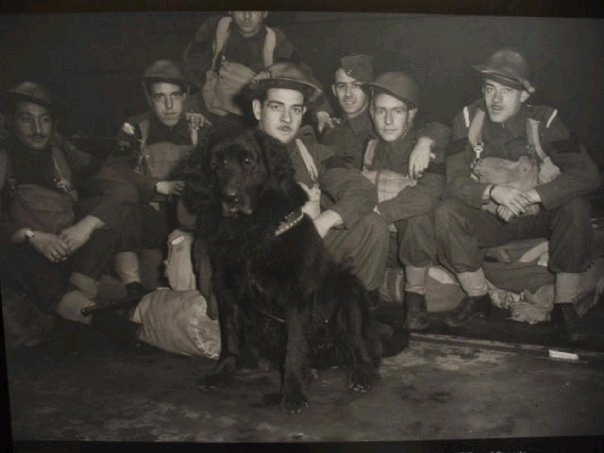 Sergeant Gander was a Newfoundland dog who saved the lives of a number of Canadian soldiers during the Battle of Lye Mun on Hong Kong Island in December 1941. Back in 1940 though, his name was Pal and he belonged to the Hayden family who lived in Gander, Newfoundland. 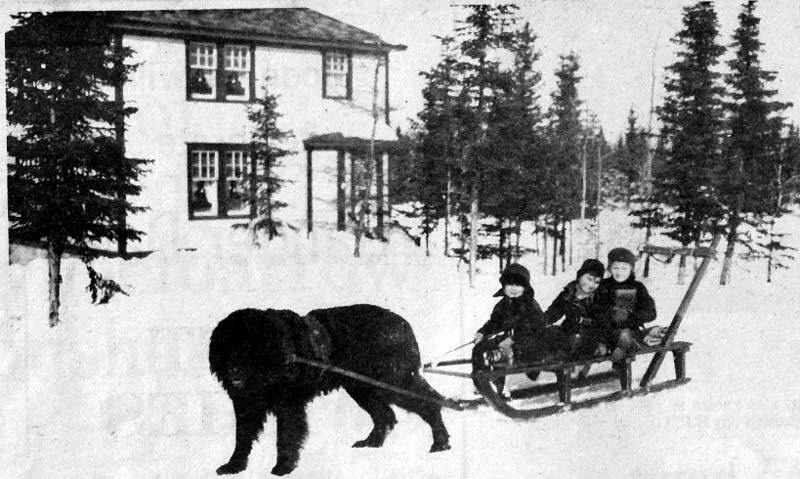 Pal loved to play with the neighbourhood children and he was often used as a sled dog. 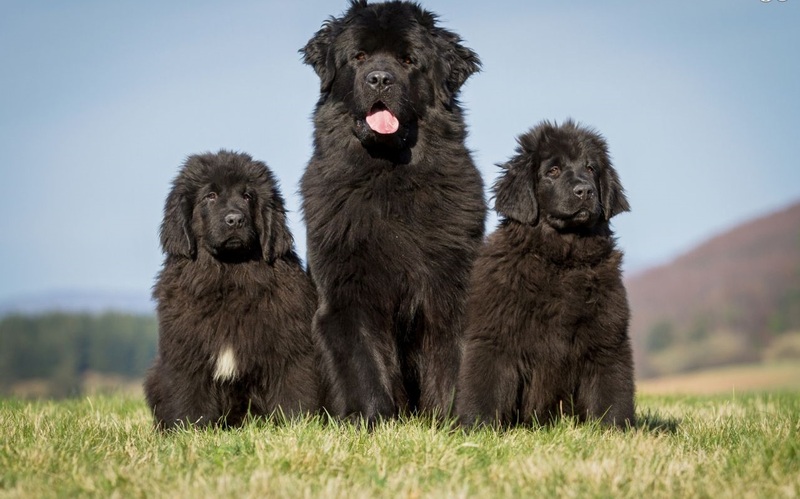 Now, as you can see from the photos, Newfoundland dogs are wonderfully big dogs, (Gander was reportedly 130 lbs). Little kids + big dogs = accident waiting to happen. While playing with the kids, Pal accidentally scratched the face of six-year-old Eileen. Given that a doctor was required, the Hayden family was faced with the decision of having Pal put down or giving him away. They chose to give him to the soldiers stations at the air base, RCAF Station Gander. 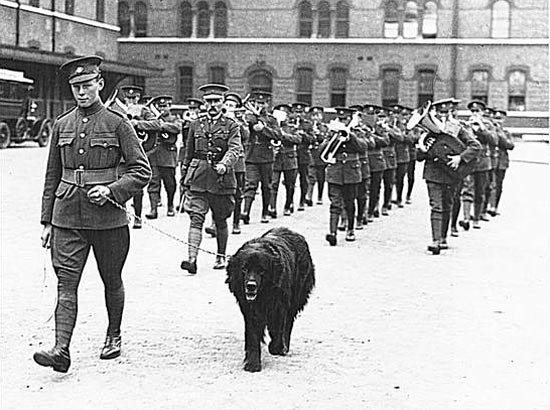 After being renamed Gander, the dog became the regimental mascot for the 1st Battalion of the Royal Rifles of Canada. In 1941, the 1st Battalion were sent to Hong Kong to defend the land from the invading Japanese. Rather than leave Gander behind, the men promoted him to the rank of “Sergeant” and he joined to soldiers on their mission. Rifleman Fred Kelly was responsible for taking care of Gander. During his time in Hong Kong, Kelly let Gander take long cold showers to help deal with the immense heat. According to Kelly, Gander was also a fan of beer. The Battle of Hong Kong began on December 8, 1941 and Gander helped fight the Japanese invaders on three occasions. He charged at any Japanese soldier who made the mistake of getting too close to the Canadians troops and tackled them. “He growled and ran at the enemy soldiers, biting at their heels,” Rifleman Reginald Law recalled. Most battles took place at night and Gander’s black fur made him hard to see. As a result, instead of shooting him, the Japanese hightailed it out of there to escape Gander’s wrath. Later on, the Japanese interrogated Canadian prisoners of war about “Black Beast,” fearing that the Allies were training ferocious animals for warfare. On December 19th just after midnight, the Battle of Lye Mun broke out. Gander fought off the Japanese as he always did, until a grenade was thrown near a group of injured Canadians. Knowing what was about to happen, Gander picked up the grenade with his mouth and tore off with it back towards the Japanese soldiers. The grenade exploded and with it Gander and some enemy soldiers where KIA, but in doing so he had saved the lives of the seven Canadian soldiers. 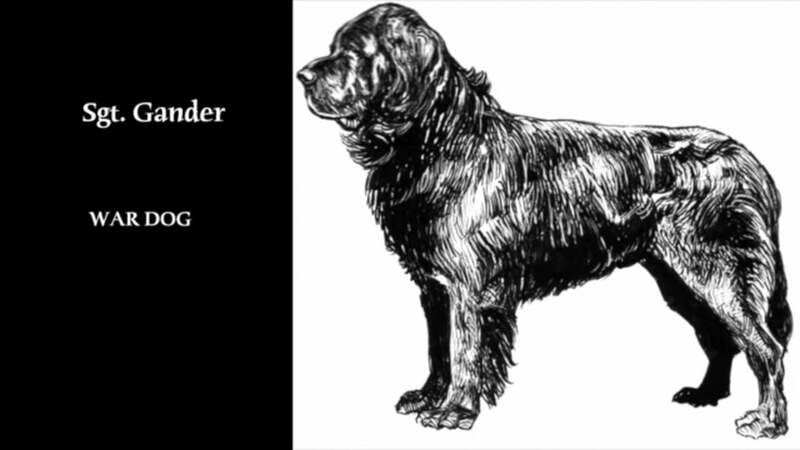 60 years later, Gander was posthumously awarded the Dickin Medal for Gallantry by The People’s Dispensary For Sick Animals (essentially the Victoria Cross for animals) on Oct. 27, 2000. It had not been awarded since 1949, but the PDSA felt that Gander was most deserving. This ceremony was attended by 20 surviving members of Gander’s regiment. 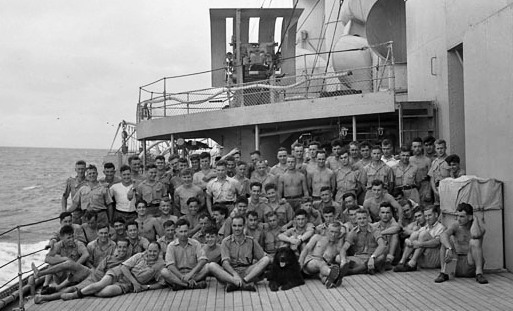 Fred Kelly, with a Newfoundland dog at his side, accepted the medal on Gander’s behalf. The medal is on display in the Canadian War Museum in Ottawa. 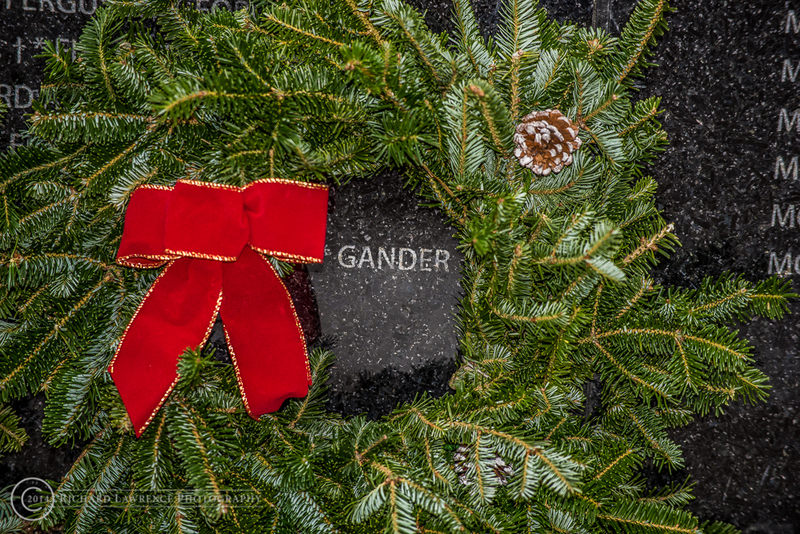 Also, when the Hong Kong Veterans Memorial Wall was created, Gander’s name was listed alongside the 1977 Canadians who died during the battle. More recently in 2015 Gander Newfoundland memorialized Gander with a statue dedicated to him along with other WWll heroes you can visit at the Gander Heritage Park. Thank you for your service Gander, let’s take a moment this November 11 to reflect on how grateful we are to have men, women, and beast putting their lives on the line and even paying the ultimate price, their own life, so that we can live in this amazing country we call Canada. From all of us here at Mountain Dog Food, have a tail wagging day!